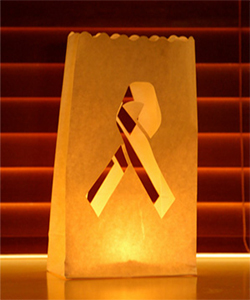 Raise awareness to your next charity event with these pink and white Charity ribbon candle bags. Line the entrance to your event or place on guests table as centre pieces. The possibilities are endless.